How to complain against a builder or trade contractor? When do building complaints usually arise? One of the many ways to reduce the likelihood of there being a dispute between yourself and your builder is firstly to do your research before any decisions are made and to make sure everything is in writing once you have made a decision, including all correspondence. Communicate to your builder or trade contractor in writing, say via email, so there is a written record for the future. Relate your concern back to the written agreement / contract that you already have with them. Communicate as soon as you are aware there may be an issue as it will be easier for you and your builder to solve the problem now, rather than three months from now. 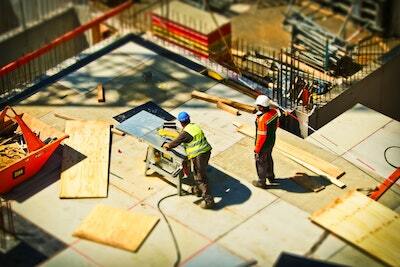 According to the NSW Department of Fair Trading, during 2011-12 builder complaints came in six main areas. The largest area of complaint was about the quality of workmanship, taking up 61% of all home building complaints. Next were complaints about materials at 15%, contractual/unfinished work at 11%, design faults at 7%, changed environmental conditions at 5% and legislative or standard changes at 1%. Clearly, of the different builder complaints lodged to The New South Wales Department of Fair Trading during 2011-12, the majority were about workmanship, meaning people weren’t happy with the quality of the work completed by builders. The largest area of defects reported on in building complaints are to do with an unsatisfactory finish at 29%, external water penetration at 14%, non structural defects at 14%, contract disputes at 12%, faulty fixture and appliance installations at 9%, non completion/delay at 8%, structural defect at 4%, leaking showers at 2%, roofs at 2%, floors at 2% and other taking up the remaining 4%. Therefore, being able to find and speak to customers who have finished homes or home renovations built by the builder you are looking at using, would be helpful. Builder complaints compared with plumber complaints & electrician complaints? In NSW during 2011-12, builder complaints made up 59% of home building complaints, whereas electrical complaints only accounted for 6%, plumbing complaints at 5%, concreting complaints at 4%, pool/spa complaints at 4%, bathroom/kitchen/laundry renovation complaints at 3%, carport/garage/awnings complaints at 3% and the remainder from other industries at 16%. Building complaints usually don’t occur until the home is well under way. The home owner or investor is usually in the final stages of their construction loan, nearing their final progress payment. It’s at this stage, when the building is nearly complete, where people can realise they aren’t completely happy with how things are going. Which Government Departments deal with building complaints in Australia?